By Tanja Bezjak on 14. February 2018. In a perfect affiliate marketing world, it would be possible to monetize any and all traffic. What if I told you that it’s already real? And what if I told you how to do it? You may know this tool under ‘smartlink’ or sometimes ‘direct link’. A rose by any other name would still smell the same, so in practical terms, a smartlink is a ‘tree’ offer. A log with many offers branching from it; a URL containing many redirect offers in it; a place where you can send any and all traffic, and where the network filters various traffic segments to the corresponding, best performing, offers. When traffic is sent to a smartlink, the offers to which the user will be redirected are rotating in the background. In other words, there’s only one link a user can click on, but there are a few different destinations (offers) it can take them to. Then, the automatic optimization mechanism most frequently redirects the user to “the best offer”, which is defined by the selected optimization type – be it the offer with the highest conversion rate, maximum profit, maximum revenue etc. How does a direct link work? Usually, affiliates choose one offer they want to promote from a list of offers. But AdCumulus provides a tool that enables affiliates to promote a set of offers. In other words, affiliates have the possibility to select a number of offers from a given offer list through what we call a direct link. The optimal amount of links contained in one direct link is about 20, but some affiliates select many more! After the offers have been selected, the optimization process begins. Firstly, the offers will be checked for targeting requirements. The offers which pass the selection will proceed to the next step, which is scanning for approved affiliates and offers. The third filter the offers go through considers capping limitation, i.e. how frequently a particular user can see the same offer. Next, every offer which meets the conditions of the incoming traffic type proceeds to the optimization algorithm. Affiliate software will then calculate each offer’s distribution factor in order to distribute the offers accordingly. If you have partners with whom you already have some fixed agreement about traffic amounts that will be sent to them, or you have another reason to send them more traffic, it is also possible to distribute the factors manually. Another practical tip is the possibility to choose not only directly offers, but also categories. Whenever a new offer is added within a category, they are automatically placed into or removed from the smartlink. When are you going to use a smartlink? Direct links work very well when you are starting out not knowing which offer performs better, because the offer rotation actually represents A/B testing which is done by the automatic algorithms in the background in order to find the best performing offers. So the next time you want to A/B test an offer without making changes to the tracking link, take one offer which you know for a fact does well and run a test on the other two. It’s perfect for optimizing monetization of the overall traffic! 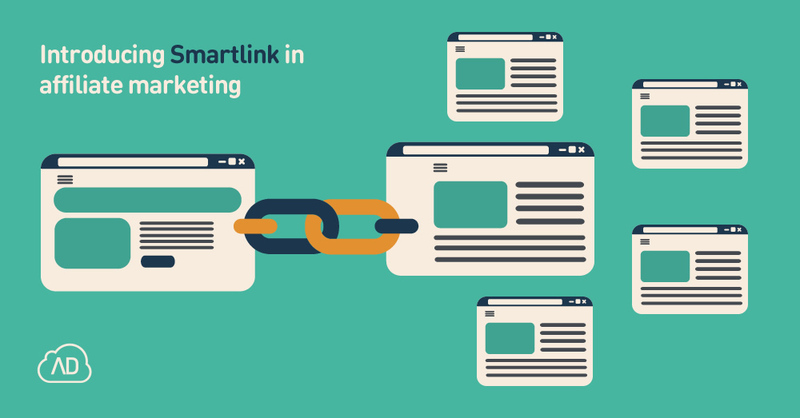 Affiliate Software is not the first tracking platform that offers smartlinks, but it’s the best, and here’s why. Our system optimizes the monetization of clicks, better yet; the system optimizes a chosen goal. That goal can be, for example, to maximize conversion rate. If affiliates are media buyers, they can place a direct link to the tool they use for media buying. Simply create the link, paste it into your traffic source and that’s it. The smartlink will only show the highest converting offers for your chosen parameters like location, carrier, or OS. The other possibility for affiliates is to put the link directly on our Ad Server as a destination if they don’t use some other tool but send traffic from a network to our Affiliate Software. Let’s look into a real-life example now. Since it’s the month of love, we’ll describe a retailer that sells jewelry – wedding rings in particular. Whenever traffic is sent to a smartlink, optimization algorithm will consider targeting requirements. So when it spots a user from Germany browsing from an iPhone, the system will remember that German visitors are keen on buying a higher class of wedding jewelry, and show an offer for diamond rings instead of silver ones, assuming that offer will result in conversion more likely than the other one. Are promo tools the right choice for you? Affiliate Software uses direct links to automatically choose the offer to which the end user will be redirected, depending on optimization type and filters chosen by the affiliate. The offer that shows up might be the offer with the highest conversion rate, maximum profit, or perhaps maximum revenue, but one thing is certain – working with smartlink will maximize your chance to monetize your click. Want to see it in action? Book your custom demo presentation today and get a sneak peek into Affiliate Software’s smartlink and other useful features you’ve been missing out on. And keep in mind that direct link is only one out of three great promo tools found in Affiliate Software that help you easily and efficiently work with affiliates and optimize traffic at the same time. To read more about the benefits of the other two promotional tools, Ad tag and Pop-up, and how using them helps improve relations with your affiliates, check out this blog post.